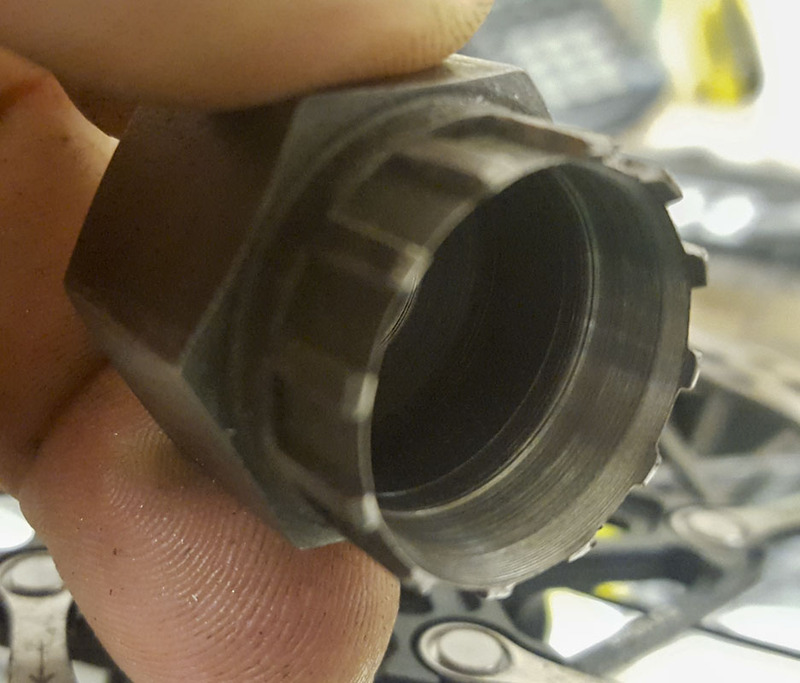 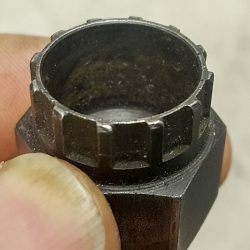 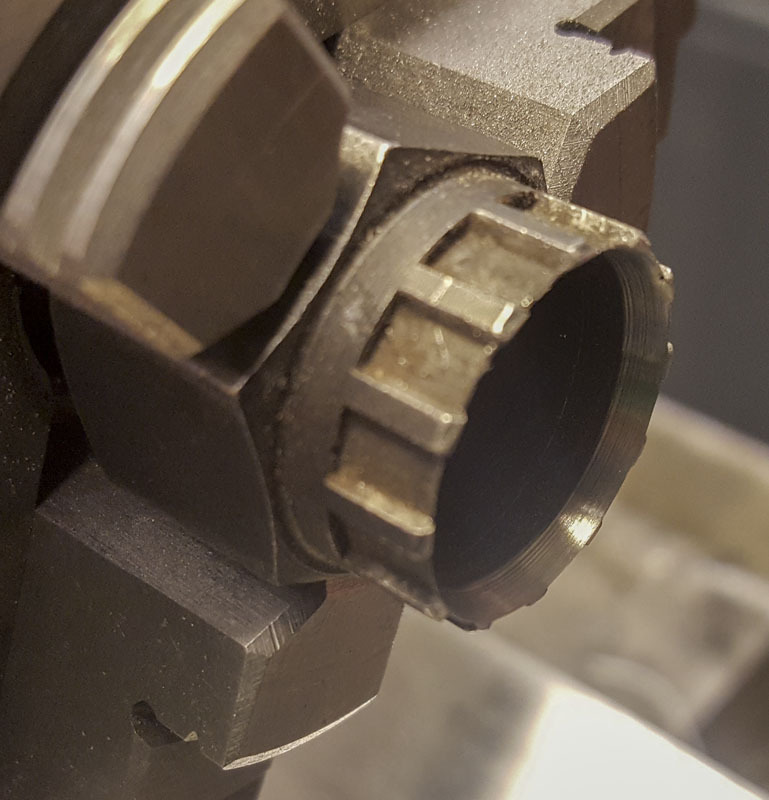 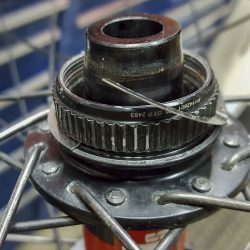 When working with flat mount calipers and centerlock rotors and 12mm axles, a MTB large spline lockring can’t be used as they cause interference with the caliper or brackets with many front forks and adapters. 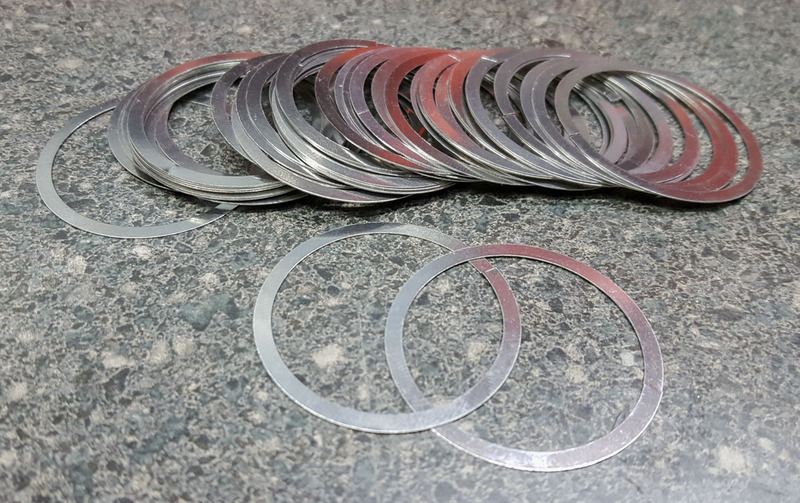 The more streamline type are used. 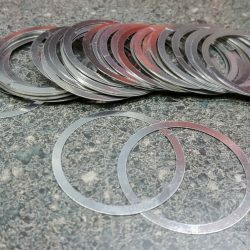 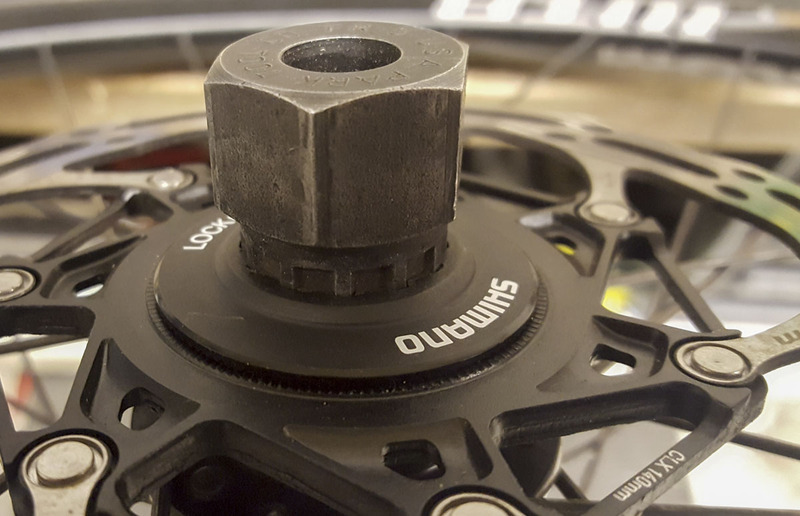 Instead of the more bomber HB-M8010 Lockring (Y2A598030) 44mm 16-OD spline lockring we’d like to use, we use the SM-RT96 (Y8CL98090) 44mm 12-ID spline lockring. 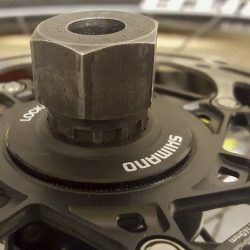 The SM-RT-97 (Y8HN98050) 40.5mm 12-ID spline lockring should only be used for certain older rotors. 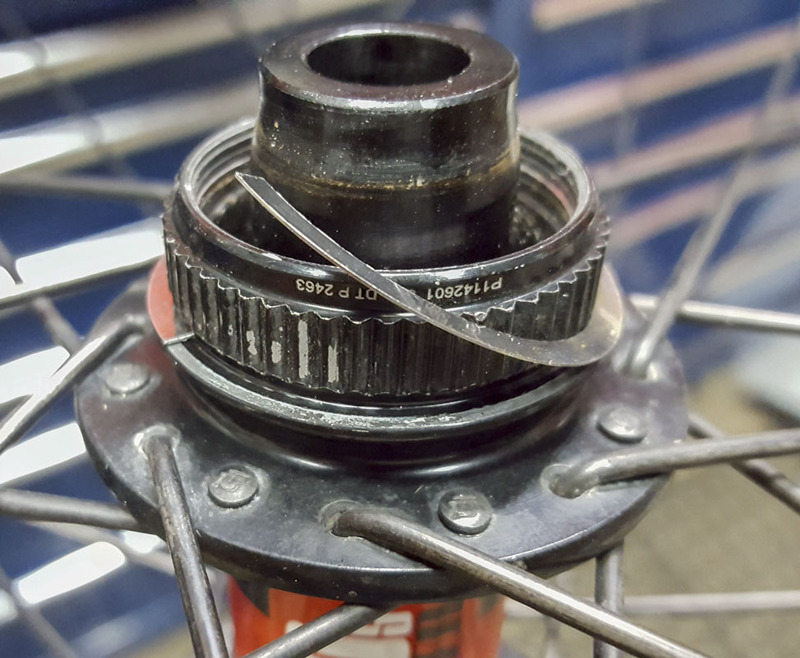 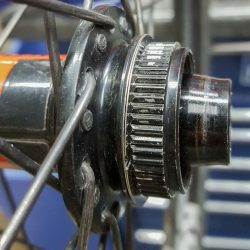 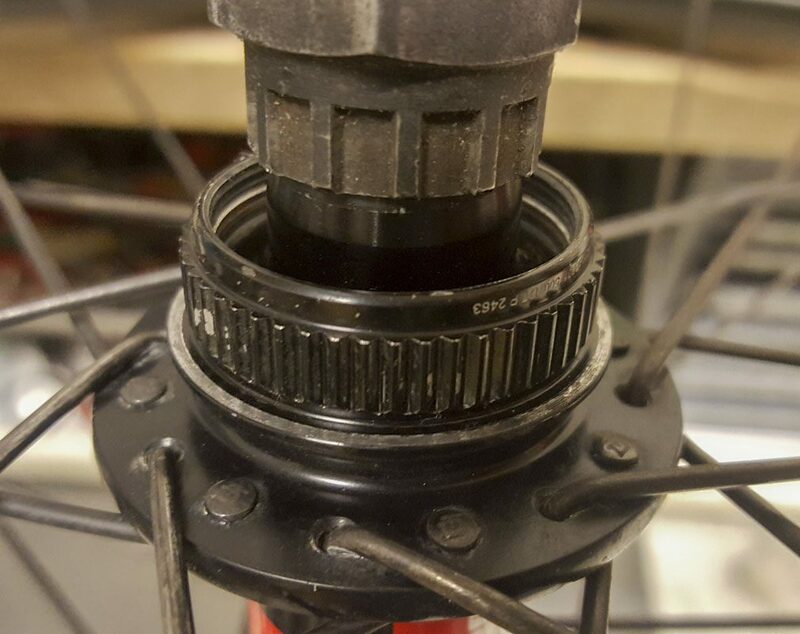 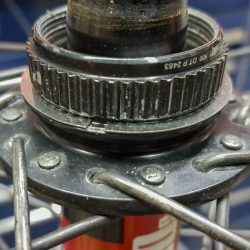 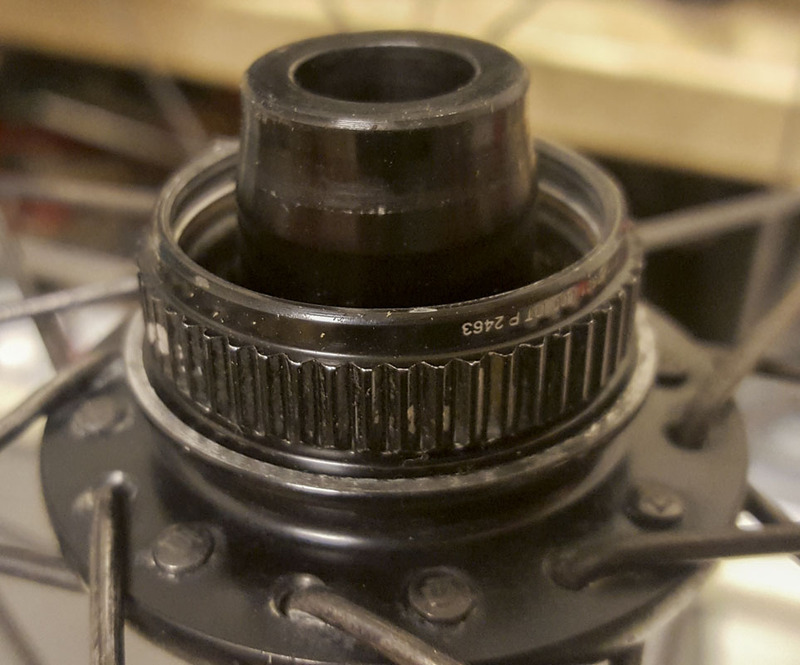 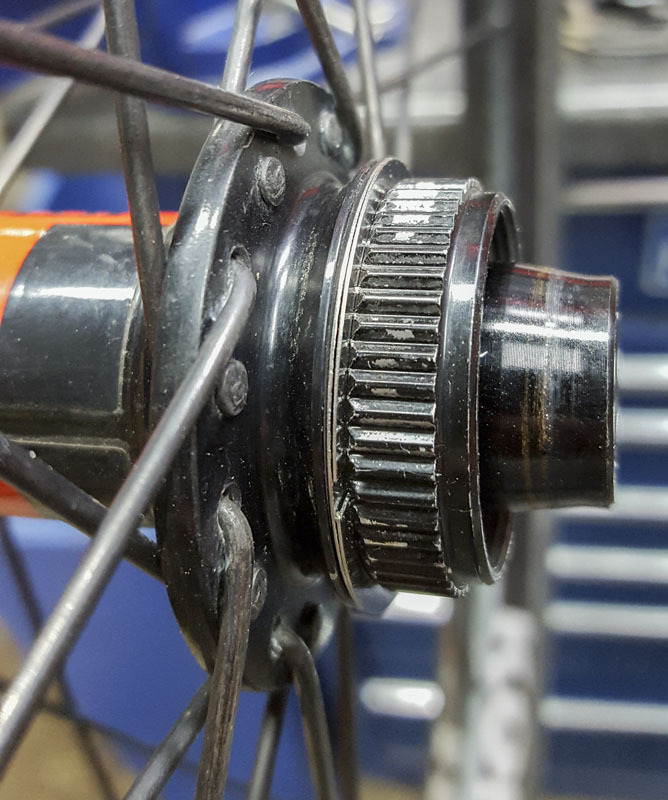 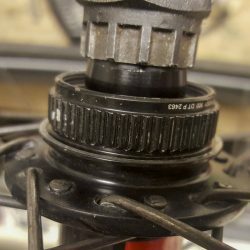 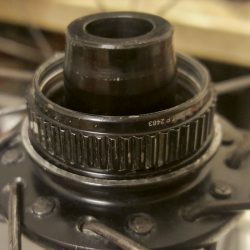 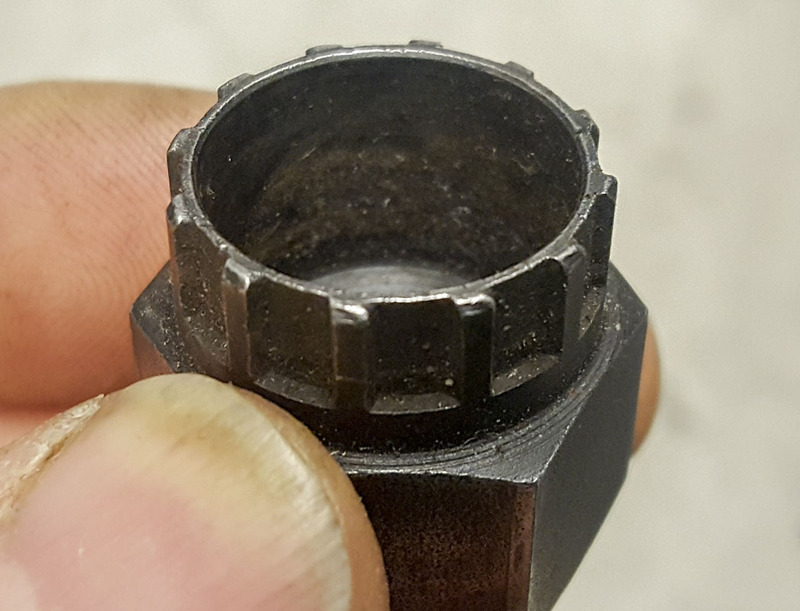 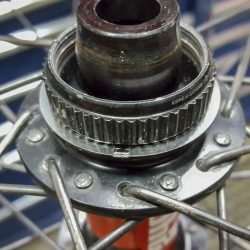 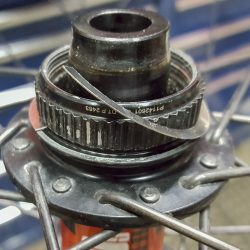 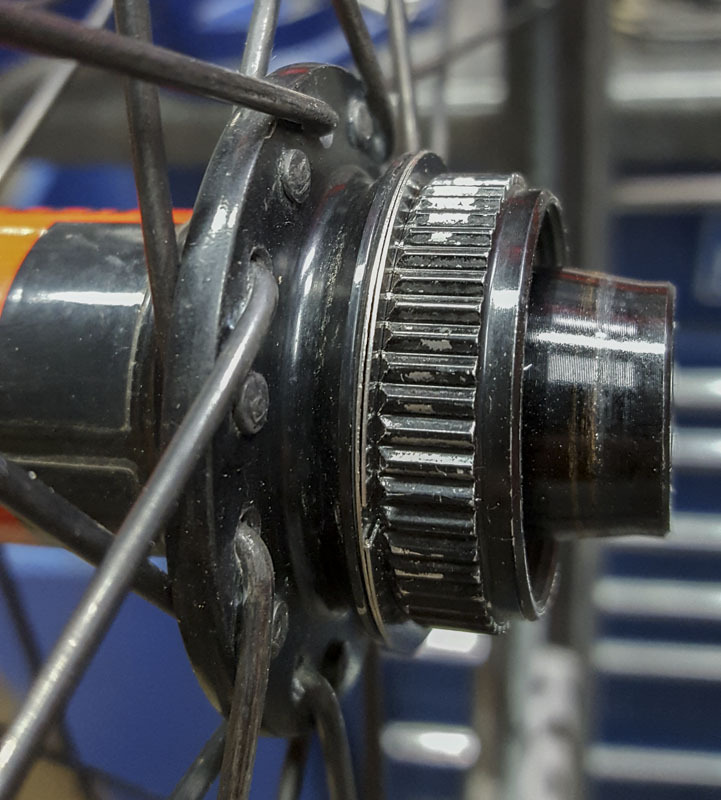 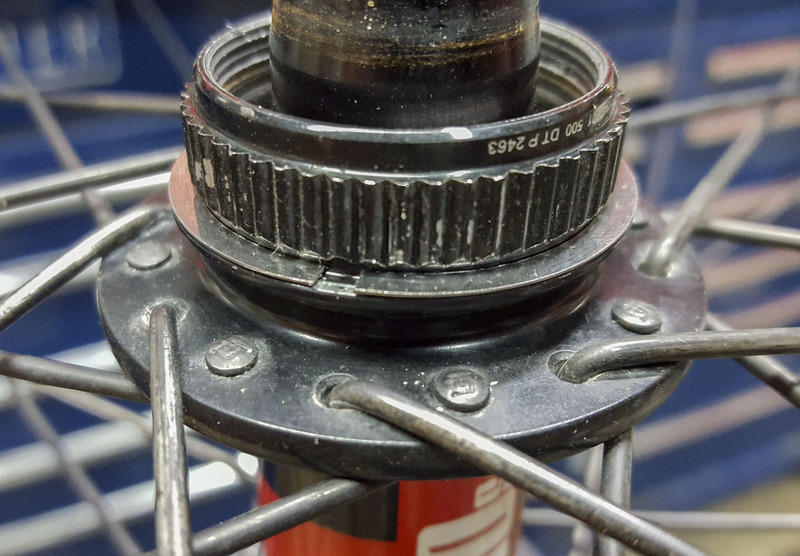 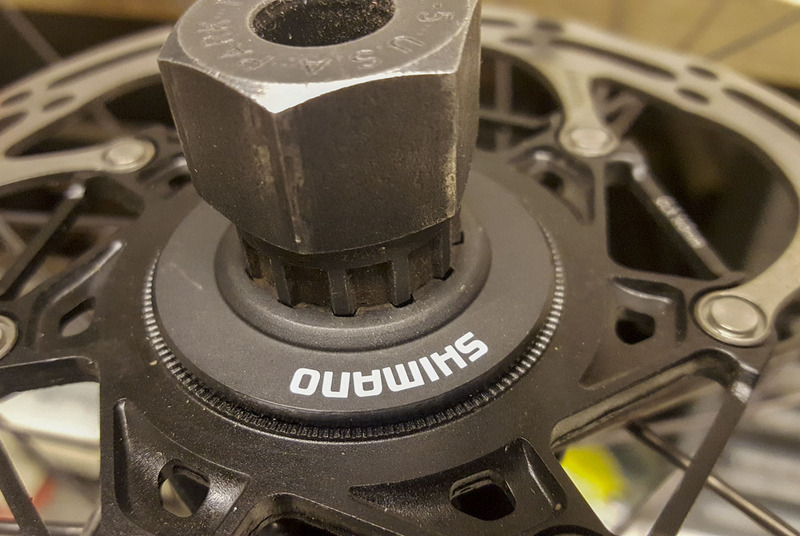 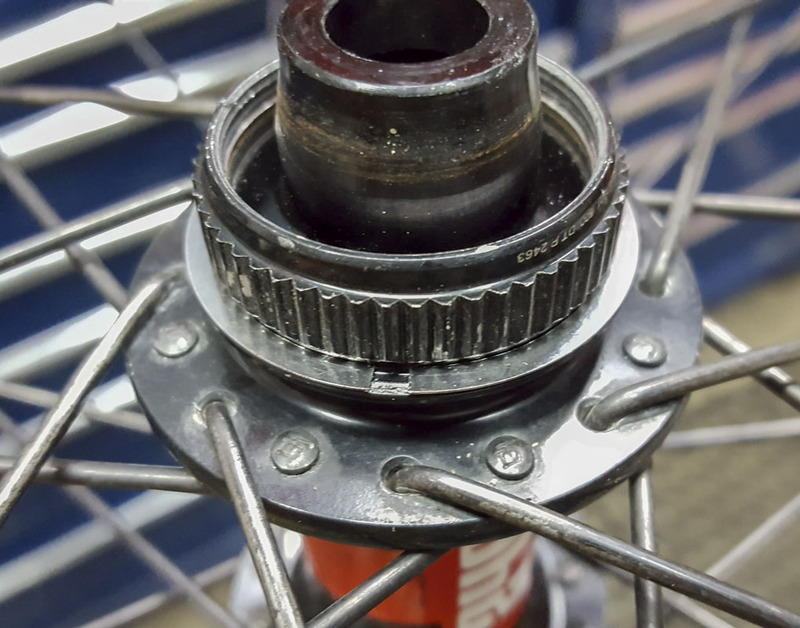 On some hubs (DT 240S) there is a real issue driving the lockring as the HG tool will bottom out on the hub end cap. 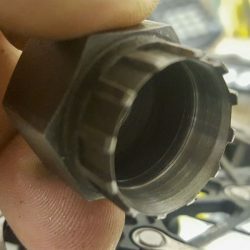 A quick turn in the lathe will fix that. 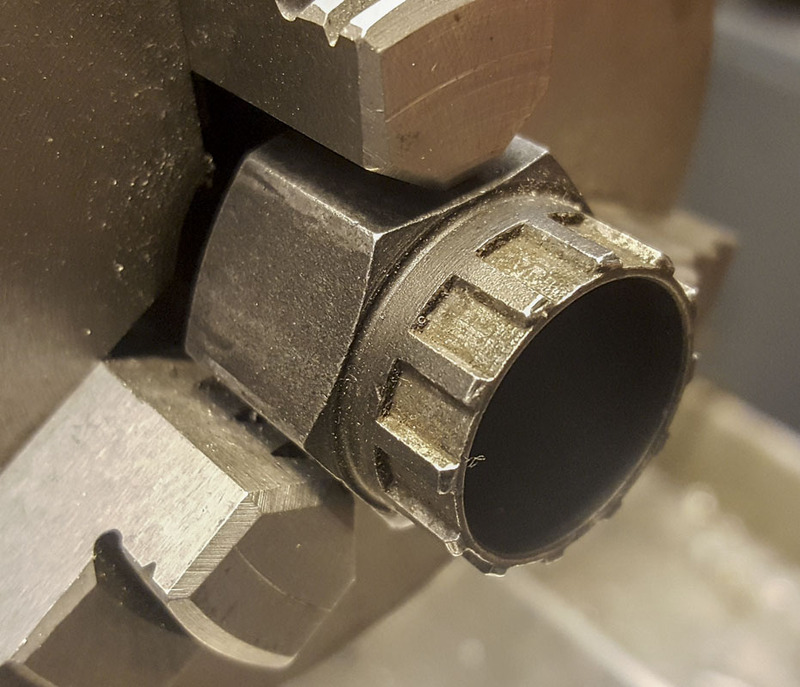 I increased the ID to about 20.25mm and 6mm deep and a 15 degree chamfer. 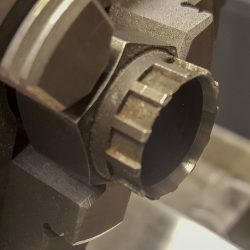 Now it has plenty of engagement. 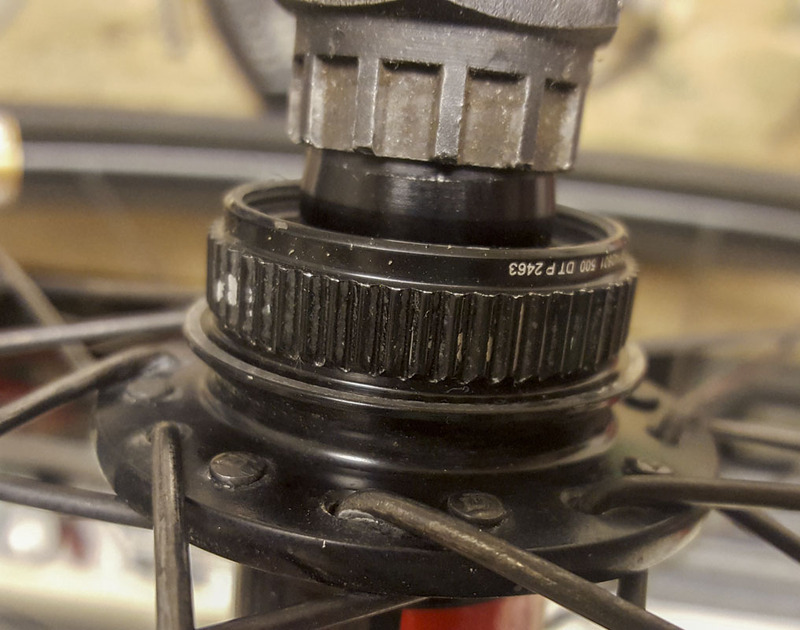 Flat mount calipers like the SRAM Force that I have also have a bolt head that comes dangerously close or even strikes spokes in some configurations. 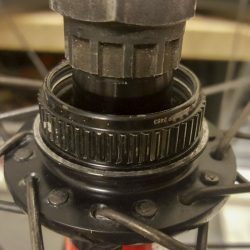 In this case, the centerlock rotor will need to be shimmed slightly. 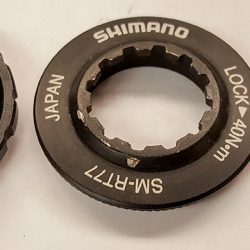 November Bicycles sells 0.25mm shims for this purpose. 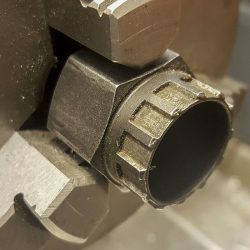 A simple solution. 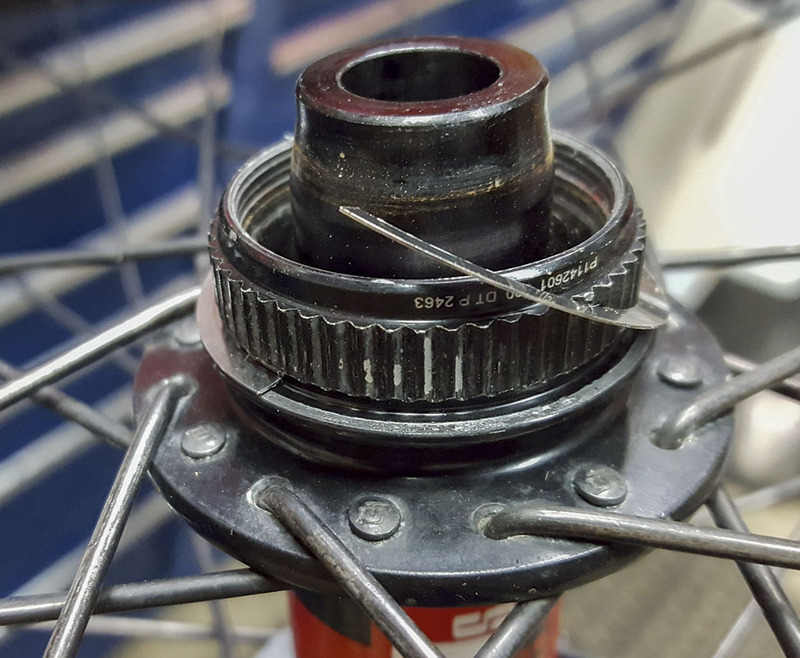 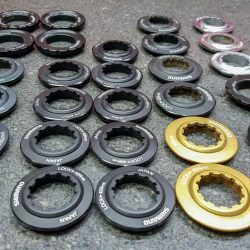 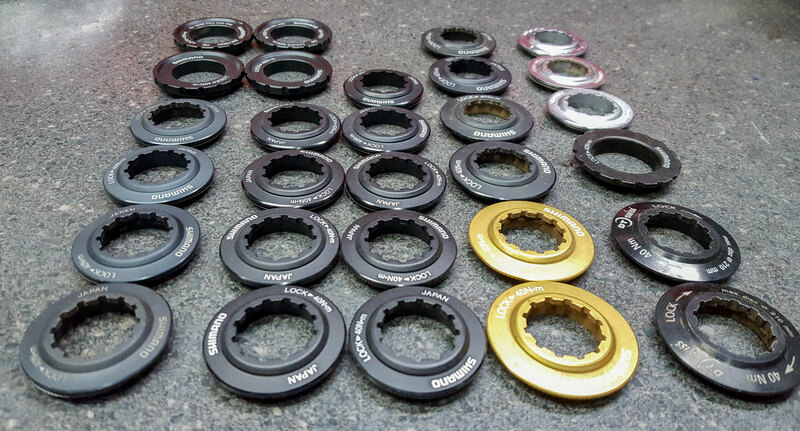 Cool info, I’m told that Shimano lockring threads are cut at M30.6x24tpi thread, but DT are M31x1 thread. 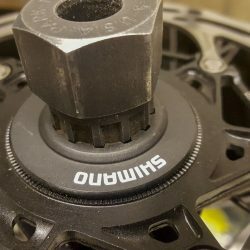 I’m still looking into this and it is not confirmed.